Site Opportunities | This Burney Street lot has been used for many years as a parking lot that created a hole in the fabric of the neighborhood. We saw an opportunity to create a mixed-use infill project that takes advantage of proximity to public transit lines and neighborhood needs, including restaurant space and a diversity of housing types. 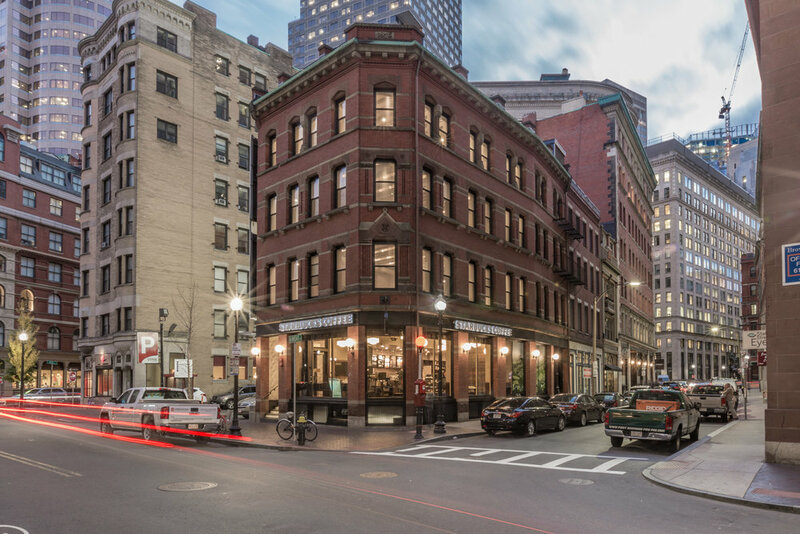 Team Approach | New Urban Partners LLC, Principle, and Utile are working together to develop 9 Burney Street. The team designed 31 residential units, including four affordable units, a ground-floor restaurant space, and public laneway. The proposed design will meet the Massachusetts Stretch Energy Code as well as the city’s LEED Silver Certifiable requirement. Project Impact | The project will create a variety of new residential spaces within walking distance to public transit in the Mission Hill neighborhood. On the ground floor, a 1,900-square-foot restaurant space will add to food options in the neighborhood; while outside, a 2,800-square-foot public laneway will be created to support outdoor leisure and restaurant seating. A six-space parking garage and bicycle storage will support this projects goals of being transit-oriented. In addition, a centralized trash service will reduce litter, visual clutter, pests, and other various management issues related to the existing outdoor storage of waste and recycling on the block.